could you please upload some more of mustaq hussain khan sahib like his chayanat,desi todi,bagehsree,suha kanada?he was a great artist indeed. that will be a great work indeed.thanks !!! Sure I will, in my future posts. in 1000 hours of pure bliss there was a mention of maluha kalyan in mp3 of sharafat hussain khan, but when i searched all of your folders in esnips i found none.Could you please give a link to that recording? please keep doing this wonderful work for the rest of the world.may everyone know the traditions of Indian culture !!! Only a small percentage of my collection has been uploaded on eSnips. is not possible to upload the maluha kalyan of sharafat hussain khan? Sure is. Someday I will post the song. Thanks a lot… Plz upload more and more thumries, actually the pure thumries of ancient time and raags also. there is a sarangi accompanied (harmonium free ) alhaiya bilawal recording of nissar hussain. if you have it i would be very grateful if you could post it here so we can compare rashid khan and his teacher. plz mention these name also in this list and please reply me regarding this. I am very thankfull to you To get reply from you……. u didnt mention the name of ustad istiyaq hussain khan and ustad afzal hussain khan nizami.., afzal sahab was the senior most disciple of ustad mustaq hussain khan. 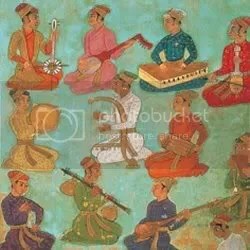 Afzal khan is a A grade artist in akaswani and rendering there services and took forward the name of rampur sahaswan gharana. plz mention these name also in this Gharana list and please reply me regarding this. I am very thankfull to you To get reply from you…….